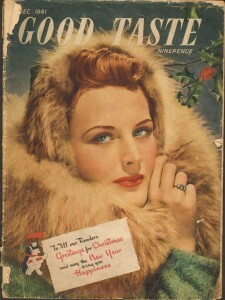 A touching and a unique record taken from the 1940’s British fashion periodical Good Taste – Dec 1941. 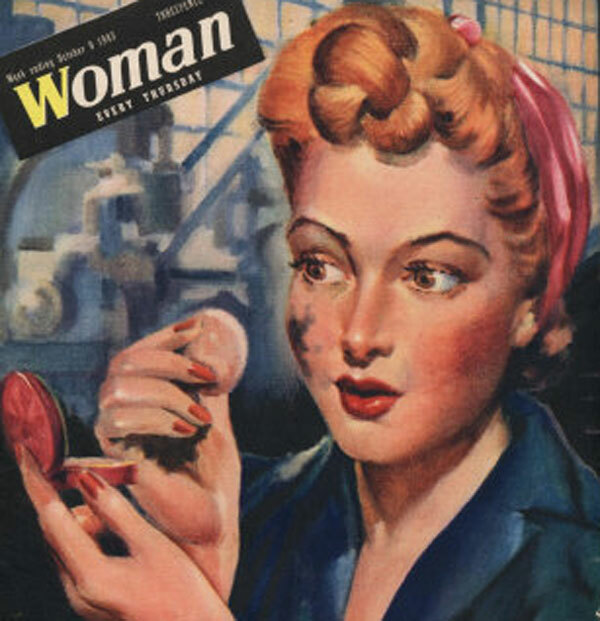 The writer envisions various date scenarios and dishes out advice on the appropriate clothing, hairstyle and makeup to wear for these very special occasions with their soldiers home on leave.1940’s Women considered it their patriotic duty to leave their men with lingering memories of happier times and they went to a great deal of trouble in times of strict rationing, in order to be at their most glamorous. 1. Preparing for a Date in December 1941. This Christmas won’t be the mad whirl of gaiety it was in other years, but if there isn’t a red letter for every woman this December, there’ll be an intriguing date or two to get your lovely self dolled up for. And we all deserve it.With bombing raids and search lights and blackouts a midst the holly and ivy, whose to say exciting things won’t be happening this Yuletide ? This is a big date. It’s where you get that little black frock which can easily double as office attire, when worn under a cardigan. 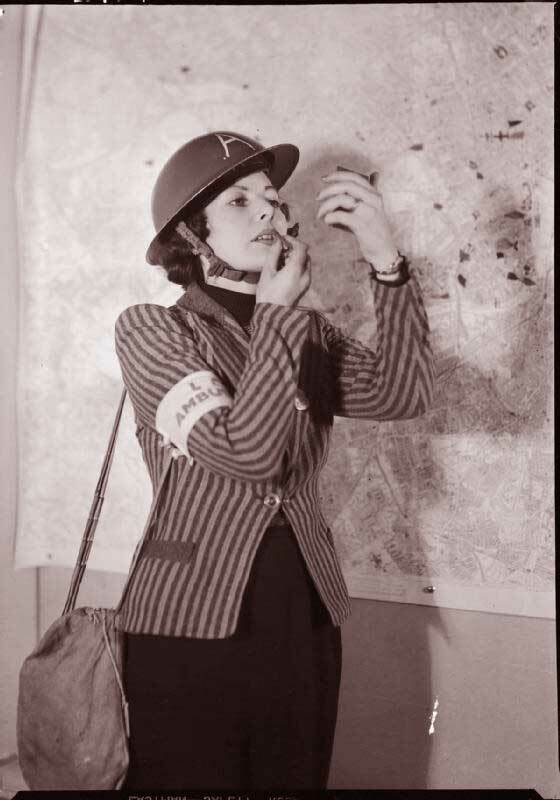 When 5pm strikes however , you whip off the woolly, clip on your paste gewgaws, and once you’ve put on a party face, you can go anywhere in war-time London. Before you start putting on makeup, protect that frock from powder marks. If you own one of those snappy little oil silk makeup up capes, take it along with you to the office – it won’t take more room than a hankie. What is a Christmas party face in 1940s London? 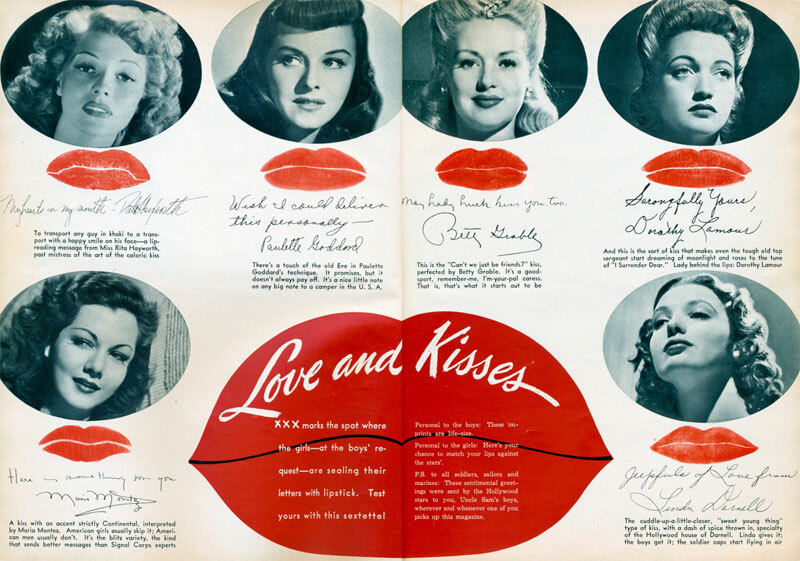 Wear a stay put foundation, preferably tinted, a rosy red rouge and matching lipstick Amber lights of theaters and restaurants reduce vermilion colored lips to a ghastly pallor. Try holly red, to stay in tune with the Christmas spirit – and it’s a real dazzler this season. 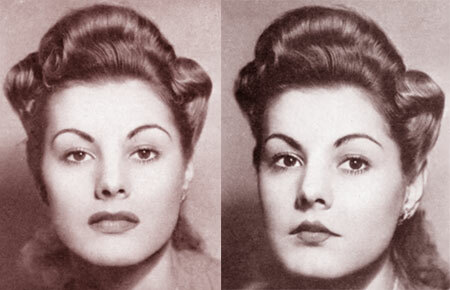 Set your hair carefully for this one, remembering that three pin curls equal one big sculptured swirl. Manicure your nails – yes even if it means sitting up till after midnight – and give your face a five minute cream massage, and if you don’t know the right movements, tap your entire fave lightly with your fingertips till its pink and glowing. having wiped off every trace of cream, paint on a special lotion. It will make you look like a ghost to greet Marley’s, but who cares, for tomorrow when you cream it off, you’ll have baby fresh skin. 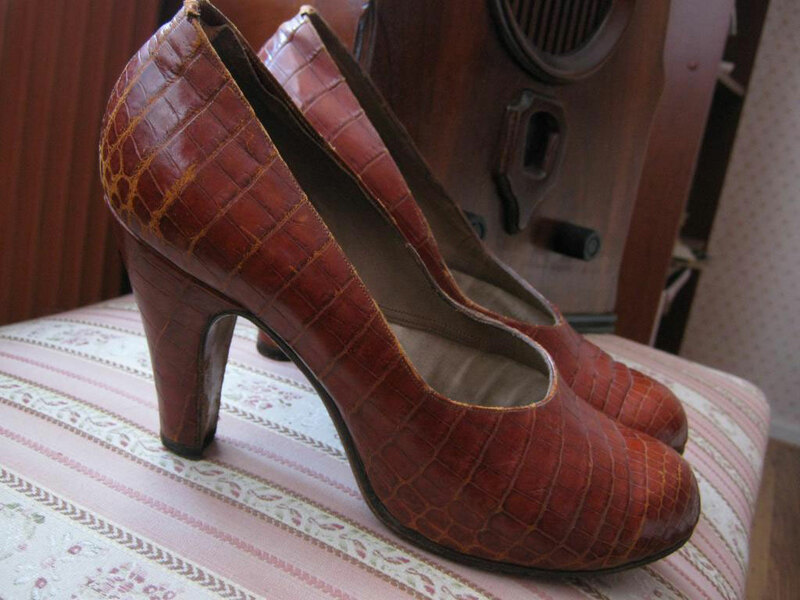 Now press your suit, give those pumps you shelled out for in September an extra spit of polish, remove that precious last pair of silk stockings out of the cigar jar, and put everything ready for the morning. If you were out the night before your date – lucky you – or if not so lucky – were fire watching, and have woken up with dark shadows under your eyes, get a piece of ice from the nearest fridge, wrap it in muslin, or a handkerchief and use it to massage the area beneath the eyes. Works every time ! ‘ What about a hearty country walk on friday? I know a grand little pub where we can have lunch. Let me know.’ William. Well that will balance the effects of too much Christmas dinner, and provided it doesn’t hail or snow, it will be fun – that is, if you know your stuff. This is not the occasion for your fur coat, or that hat with the dashing feather which waggles in the wind. Choose something warm but light and, if possible weatherproof. it will be warm work walking, even this December. make sure your walking shoes are in good trim and start now to condition your feet by rubbing them in surgical spirit. 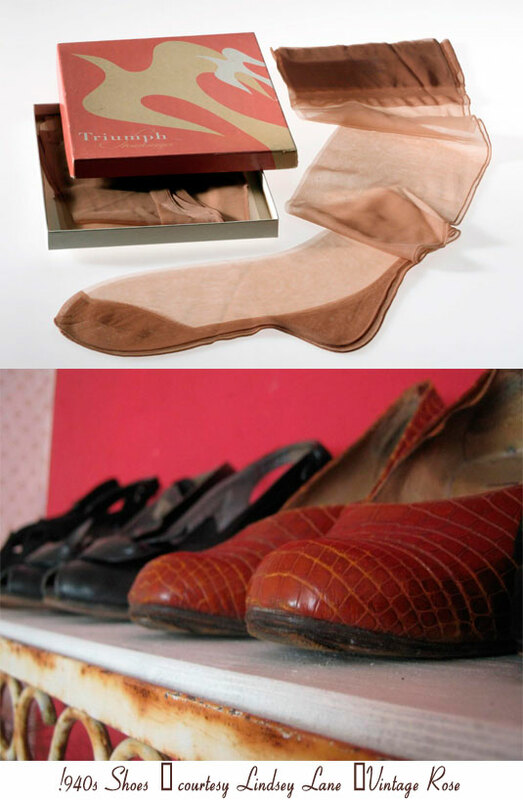 You don’t want to come limping home at the heels of an impatient man.A dusting of foot powder into your stockings is another must. Over these wear well fitting ankle socks and your feet will be ready for the road. Instead of your usual foundation lotion, use a thin film of complexion cream or cold cream, except on your nose which you will dab in powder-cream in your skin tint. Blot your face with a tissue, powder really thickly, leave for a moment, then brush off the surplus. You won’t need rouge if you use a warm peachy powder on your cheeks in place of rouge. 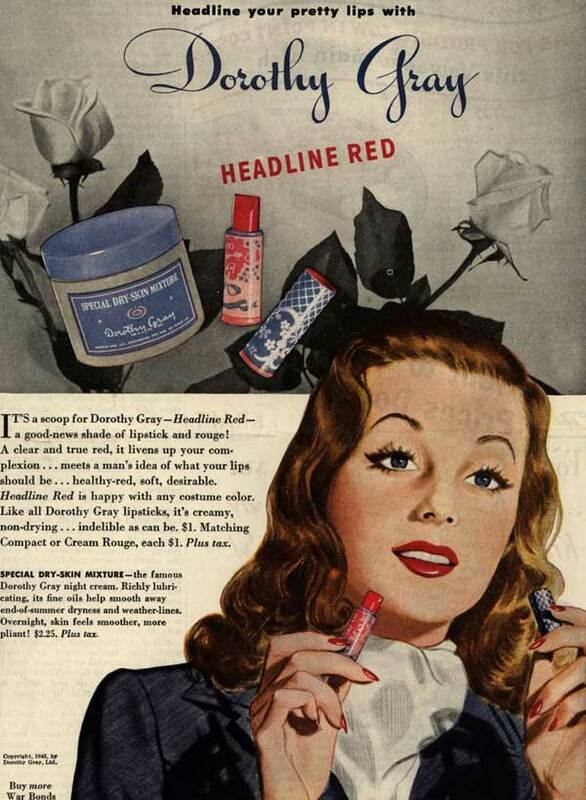 Tidy your brows with Vaseline and use a smear of tinted lash cream – it’s rain resistant – and a clear red or copper red lipstick, none of your pinky or cyclamen shades today ! Don’t take a handbag. Your comb, hankie, powder and lipstick will all go into your pocket if you’ve chosen the right sort of coat, and don’t forget a box of facial cleansing pads – yes, you can still get them ! 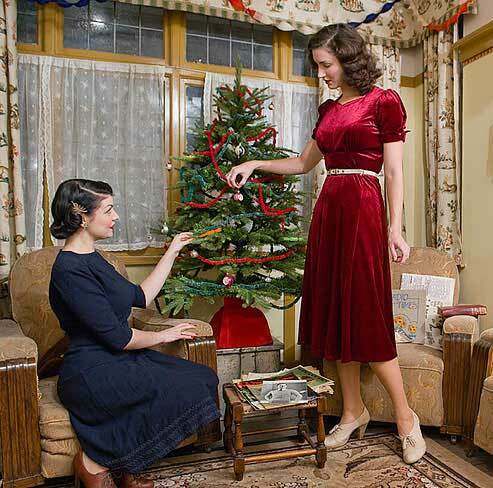 First – a video from the amazing Imperial War Museum and their exhibit A 1940’s House at Christmas along with a charming photo courtesy of Fleur De Guerre who did a photo shoot there last year with her pal Jeni Yesterday. 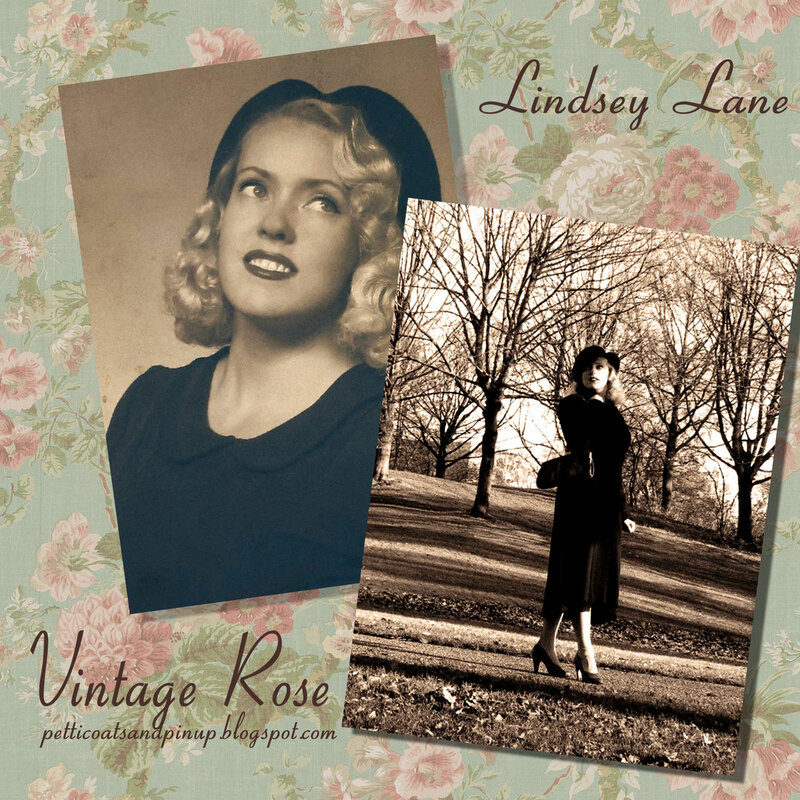 And finally another look at Vintage Rose – Lindsay Lanes take on a 1940s outdoor outfit. 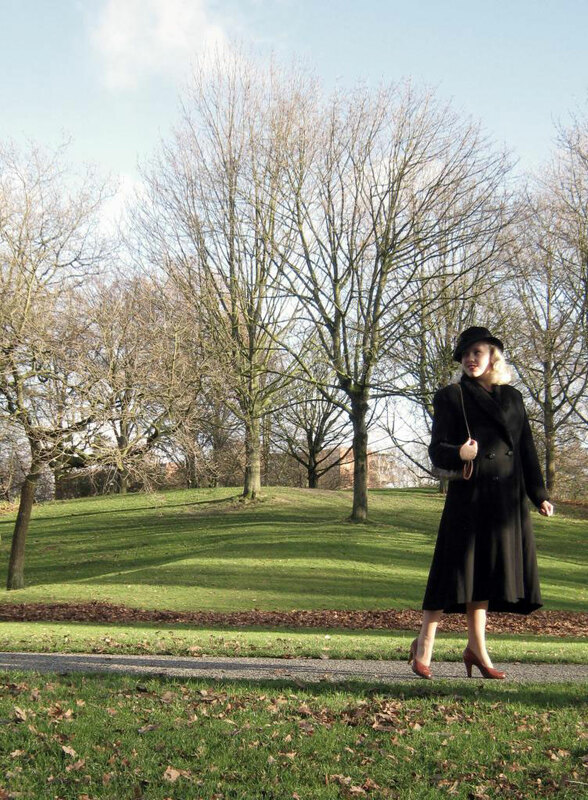 The coat is actually from the late 1930s, but hat, shoes and purse are all 1940s. I absolutely love this post. And the video of the Miss Lane’s house is beautiful. I especially love her curtains. Thanks for sharing. How lovely to keep up the cheer in the middle of such a hard time! just wondering what it means to “clip on your paste gewgaws?” I’ll have to look it up. Such a lovely article and thanks so much for using my pictures. I am highly flattered. Thanks again! Though, one thing: I hope I won’t come off as an old nag now but my name is written with an ‘a’ at the end! I hope you don’t mind me sharing this article on my blog?